Welcome to the Law Office of Melissa Neiman, M.D., J.D. Dr. Melissa Neiman has a unique combination of experience and skill as a neurosurgeon and as an attorney. She uses her medical background in the practice of law, representing and serving individuals, health care professionals, and institutions. Dr. Neiman works in numerous areas including medical malpractice, health care fraud, pharmaceutical liability, personal injury, wrongful death, product liability and mediation. 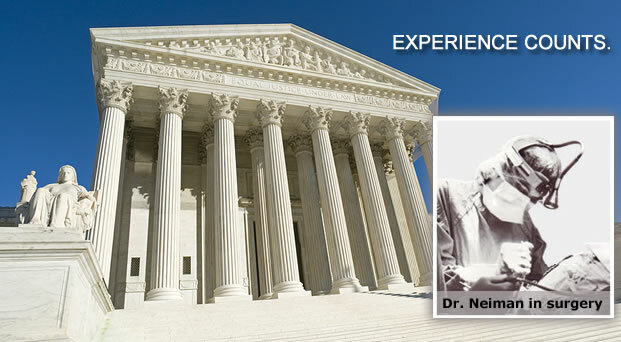 As a medical-legal expert Dr. Neiman also assists attorneys in Texas and throughout the United States. She provides consulting services including case analysis, assistance in retaining experts, medical-legal research, and deposition and case preparation.